John Raitt, the sterling lyric baritone who created the role of Billy Bigelow in CAROUSEL, died at his home in Los Angeles on February 20 at the age of 88. The New York Times recalled that Mr. Raitts performance in CAROUSEL was so memorable that he came to epitomize (along with Alfred Drake in OKLAHOMA!) a new distinctively modern breed of Broadway leading men rugged cowboys and blue-collar workers. Like Mr. Drake, Mr. Raitt played the role of Curly in OKLAHOMA! as well, starring for several years in the US National Tour. In a 1995 interview he recalled that first, fateful audition for Rodgers and Hammerstein. Having taken a long, trans-continental train ride from Los Angeles, the young Raitt burst of out Pennsylvania Station and ran 10 blocks up to the St. James Theater on West 44 Street. I hadnt sung since California, so I said, Do you mind if I warm up? I sang Figaros aria from THE BARBER OF SEVILLE. Then I sang all of Curlys songs. His audition was met with silence impressed silence. R&H hired him immediately to take over the National Tour of OKLAHOMA! in Chicago, and kept him in mind for their next musical. That musical, of course, was CAROUSEL. Raitts performance, especially his unforgettable rendition of its Soliloquy, made him a star. John Raitt had a long and rewarding career in the theatre, but it was his affiliation with Rodgers and Hammerstein and two of their most towering roles that meant so much to this musical legend. In March 1993, during festivities in New York for the 50th Anniversary of OKLAHOMA!, Mr. Raitt paid a visit to the St. James Theater, where OKLAHOMA! opened originally, and where a musical of the rock opera TOMMY was then in previews. To the audiences surprise and delight, he took to the stage before the show began and serenaded the Who-primed crowd with Oklahoma. He received a standing ovation. He received another New York standing ovation in June 2002. At Carnegie Hall, where CAROUSEL was presented in concert with Hugh Jackman in the role Mr. Raitt created, Mr. Raitt made a cameo appearance at the start of the program. As he strode onto the stage at the conclusion of The Carousel Waltz, the Carnegie Hall black-tie crowd leapt to its feet with cries of Bravo! Then, Hugh Jackman Billy Bigelow, Class of 02 embraced Billy Bigelow, the one and only original. Trude Rittmann, the trusted dance and vocal arranger for such Broadway luminaries as Rodgers and Hammerstein, Irving Berlin, Lerner and Loewe, Jerome Robbins and Agnes de Mille, died on February 22 in Lexington, Massachusetts at the age of 96. Born in Mannheim, Germany, in 1908, Trude Rittmann immigrated to the United States in 1937, where she was engaged by Lincoln Kirstein as concert accompanist and pianist for George Balanchines American Ballet Caravan, the precursor to New York City Ballet. In 1941 Rittmann became a concert accompanist for choreographer Agnes de Mille, who invited her to be dance arranger for the 1943 Broadway musical ONE TOUCH OF VENUS, choreographed by de Mille and composed by Kurt Weill. 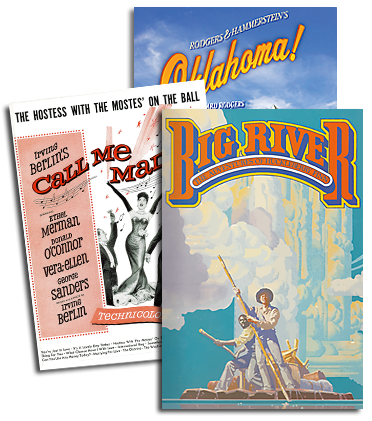 Over the next three decades, Rittmann would create the dance and/or vocal arrangements for more than 50 Broadway musicals, including BRIGADOON, MY FAIR LADY, CAMELOT, TWO BY TWO, MISS LIBERTY, and GENTLEMEN PREFER BLONDES. She enjoyed a long and loyal collaboration with Richard Rodgers and Oscar Hammerstein II, and worked on the original productions of CAROUSEL, ALLEGRO, SOUTH PACIFIC, THE KING AND I (creating the innovative percussive score for the ballet, The Small House of Uncle Thomas), and THE SOUND OF MUSIC. Ms. Rittmanns was an unsung art, opined the New York Times. It was her forte to take a composers theme or melody and mold it into a ballet or the incidental music woven in for dramatic effect. 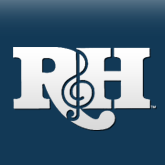 She maintained a close relationship with the R&H office until the end; Ted Chapin and Director of Music Bruce Pomahac visited Trude often, and took her into Boston to see national tours of the R&H shows. She was always surprised when members of the cast would come out into the auditorium afterwards, not only to meet her, but to ask her to sign their scores. I think she was pleased, if surprised, to see her work so recognized, recalls Chapin.